One of the biggest churches in the world and arguably the largest in Africa, the Redeemed Christian Church of God (RCCG), has declared that no way for beardgang intending grooms in its denomination. 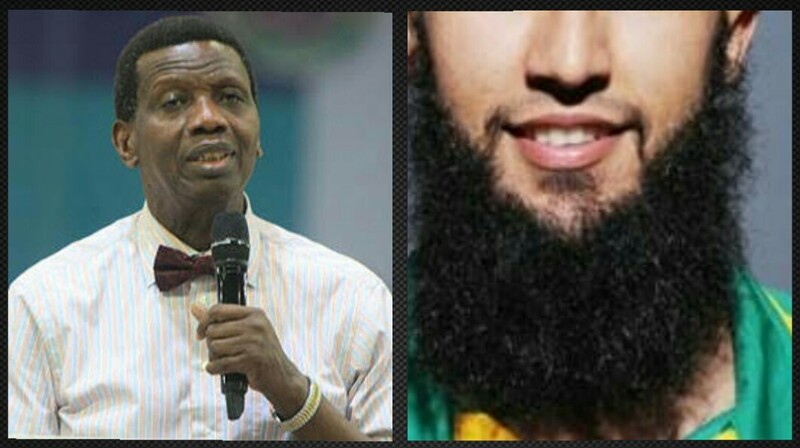 All RCCG pastors have been ordered and instructed via a formal letter dated May 15th, to ensure that intending grooms and their groomsmen do not wear Taliban beards during any wedding service conducted in any of its branches. a. Every Worker or Department that will officiate during any wedding programmed or programmes of the Church, most especially the Officiating Ministers, the Choir and the Ushers. b. 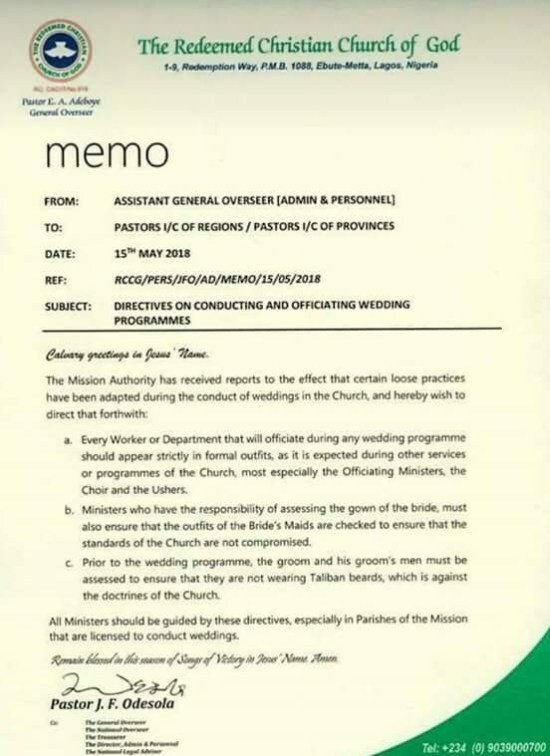 Ministers who have the responsibility of assessing the gown of the bride, must also ensure that the outfits of the Bride’s maids are checked to ensure that the standards of the Church are not compromised. c. Prior to the wedding programme, the groom and his groom’s men must be assessed to ensure that they are not wearing Taliban beards, which is against the doctrines of the Church. 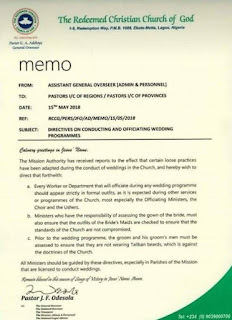 All ministers should be guided by these directives, especially in Parishes of the Mission that are licensed to conduct weddings.